This site aims to be a central resource for all things related to Contact Improvisation in Graz. A listing of the weekly jams and events in Graz. 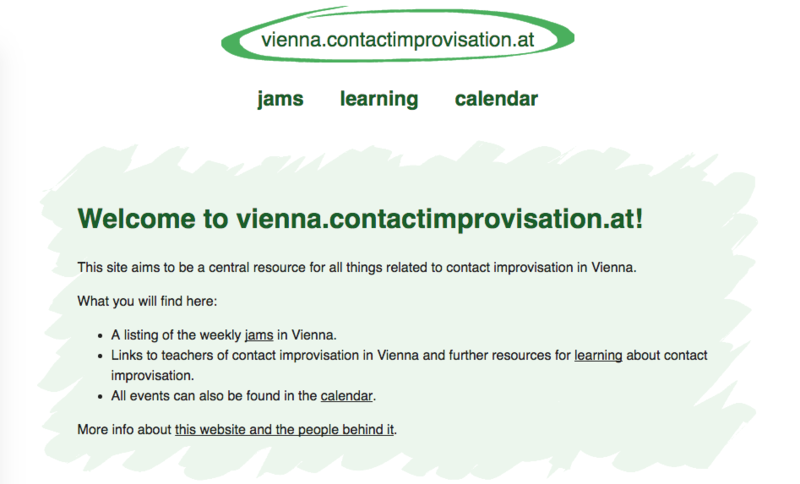 Links to teachers of contact improvisation in Graz and further resources for learning about contact improvisation. More info about this website and the people behind it.